Young scholarship winners cheering loudly to my left. "Brandon Moss of the Cleveland Indians hit 100th career home run last week," Cook says. "You could imagine how much that ball would mean to him to have it. Turns out it was hit into the Indians bullpen. Teammates decided to play a trick. 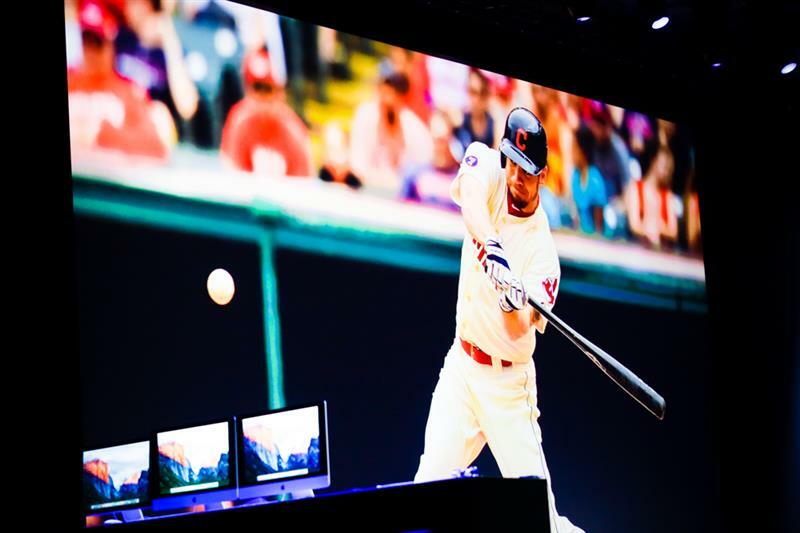 Held it for ransom"
Cleveland Indians players...only dream of Apple products. 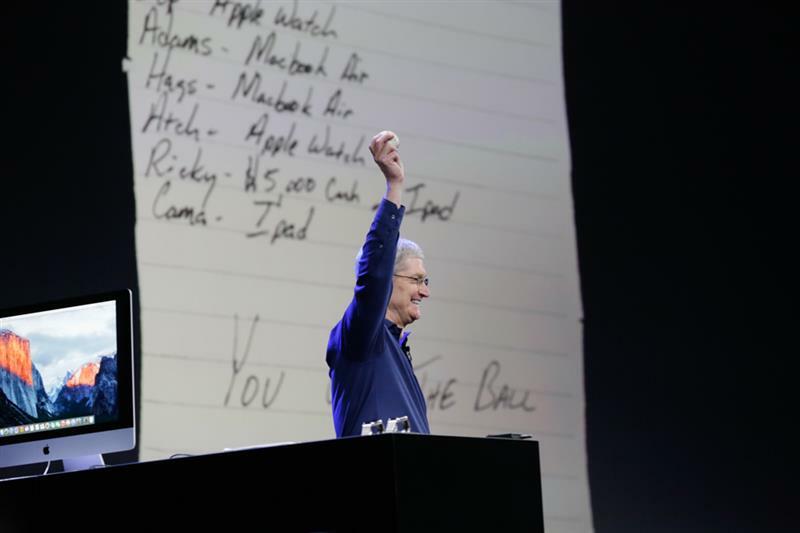 They asked for a bunch of Apple devices, including watches and iPads. 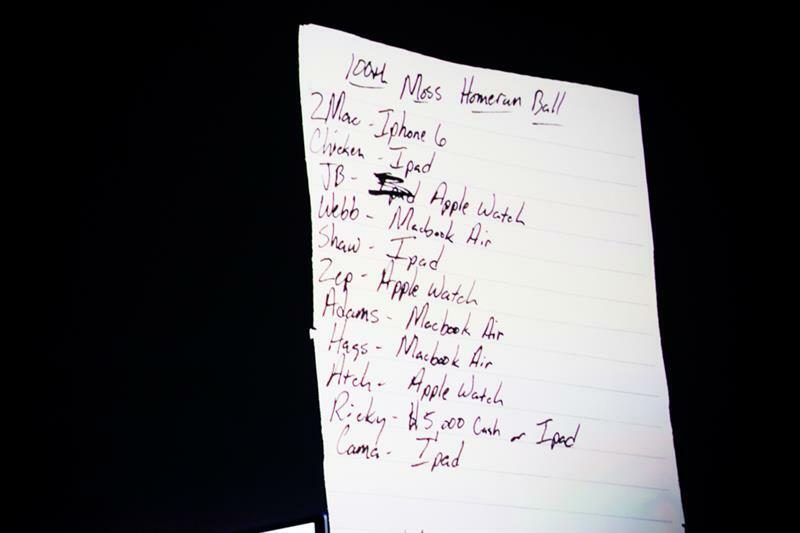 "Brandon would have had to raid an Apple store to get the ball back. 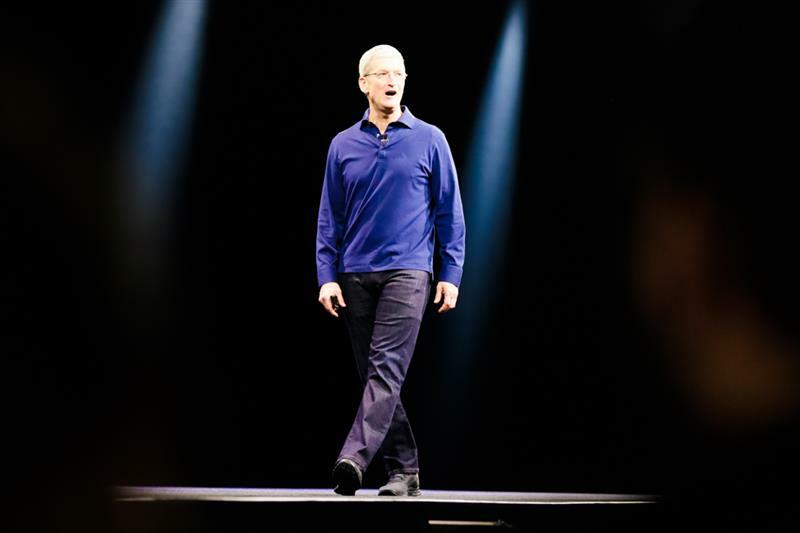 That didn't seem right to us, so we're going to pay the ransom," Cook says. He actually has the baseball. "We're giving the ball to Brandon and we're going to give everything his teammates asked for so everyone is happy," Cook says. 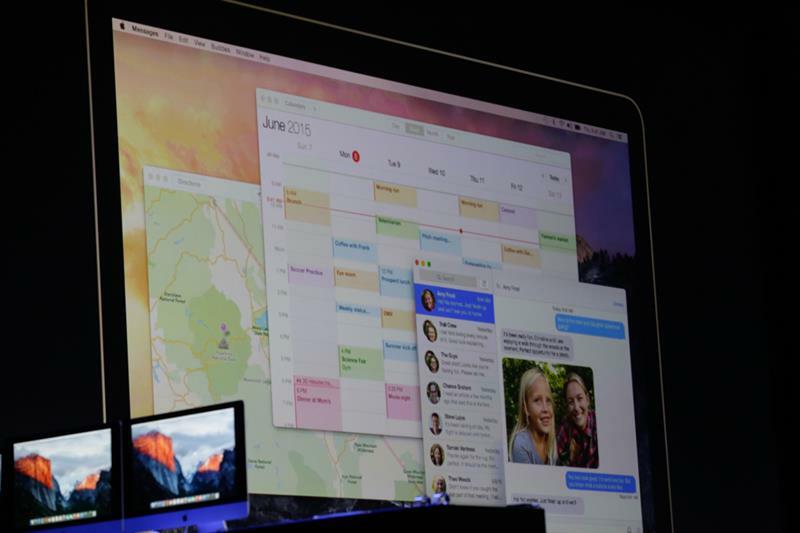 Native apps to Apple Watch...new version of Watch OS, too. "We've got a jampacked morning for you. 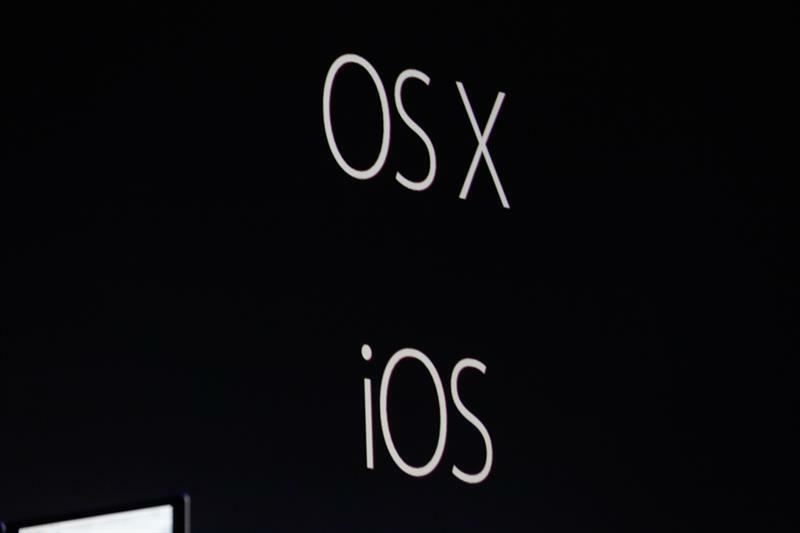 We're starting with OS X ... Next we've got a great update for iOS, the world's most advanced mobile operating system. 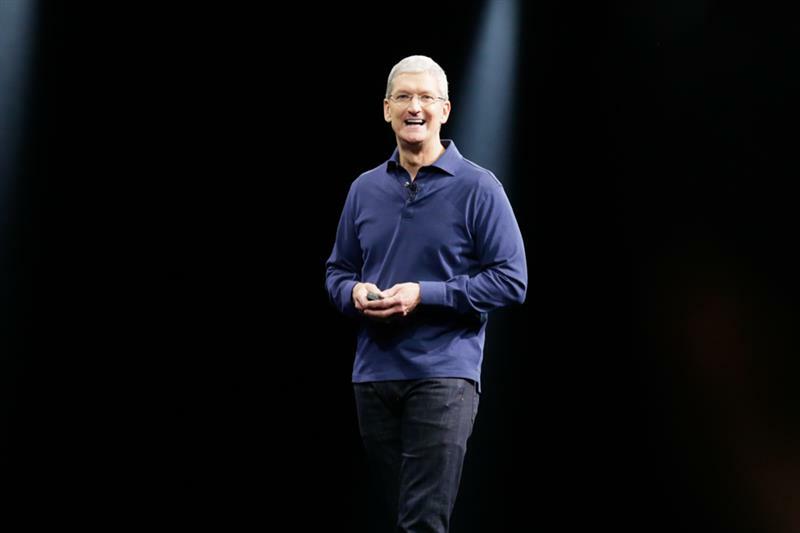 And today we're bringing native apps to the watch with a new version of the Watch OS, which gives the developers even more time to create even greater apps for the watch that will change the world." There are a lot of OS improvements I'd like to see, not just apps. "There's a lot here. I'm going to dispense with my normal updates other than to tell you everything's going great. 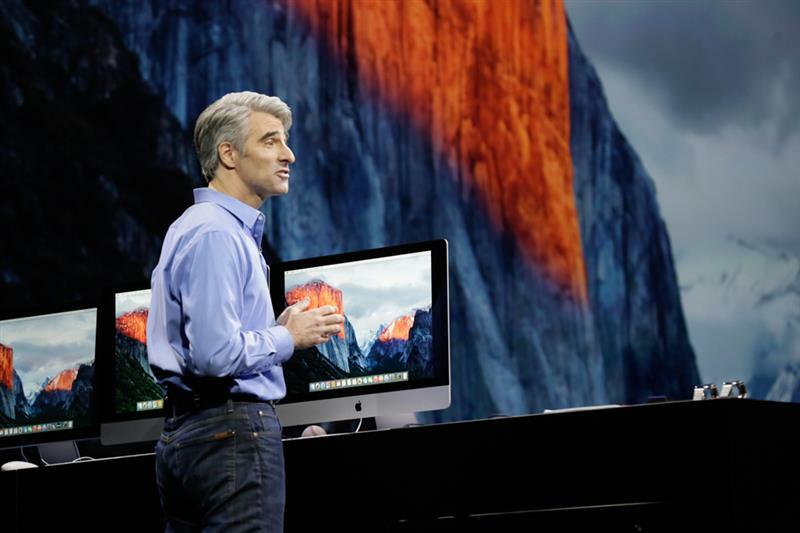 I'd like to bring out my friend and colleague, Craig Federighi." HUGE cheers for Craig. He's very well liked and is pretty funny. 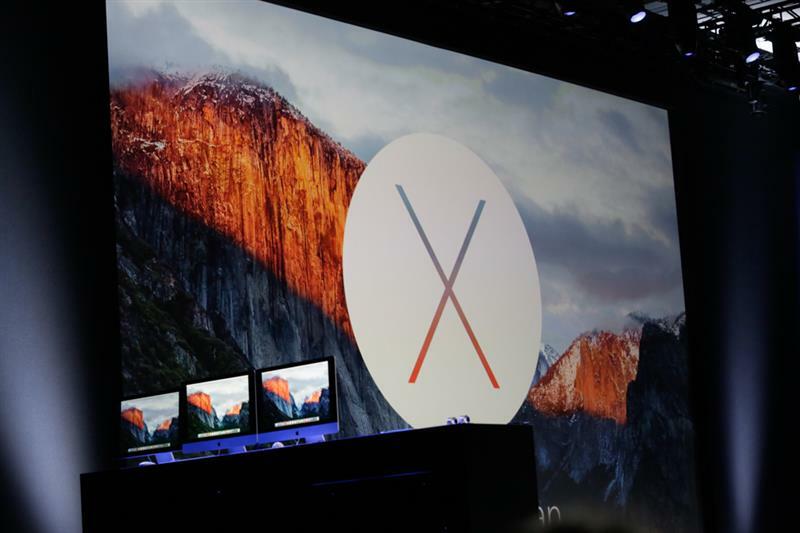 "Our current release Yosemite is a big, bold release. ... 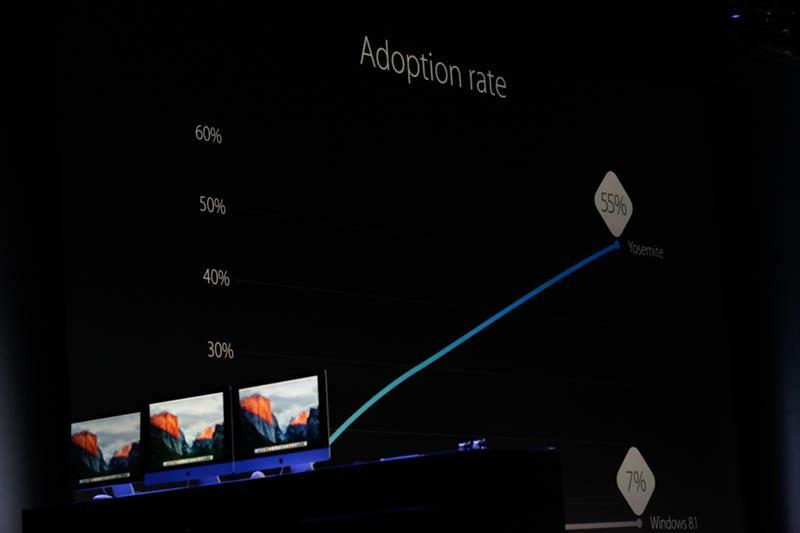 The adoption rate for Yosemite is just incredible. 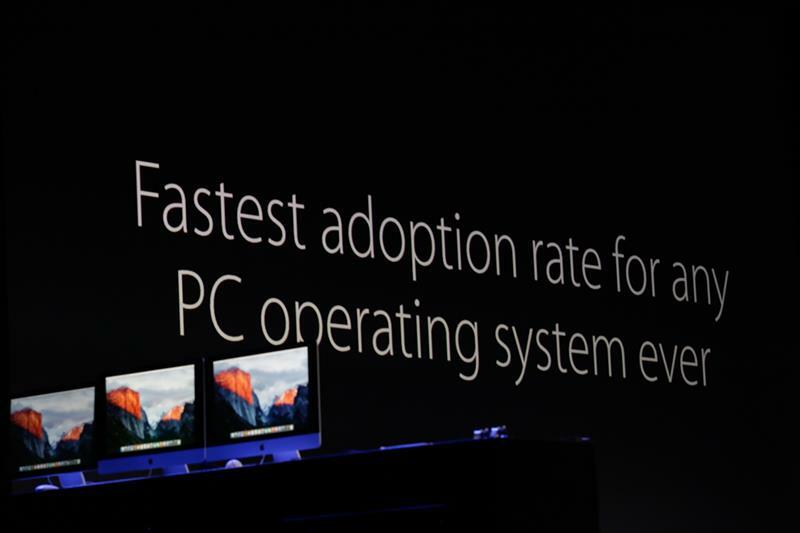 Over 55% of active Mac users." He shows chart that only 7% of people are using latest Windows. 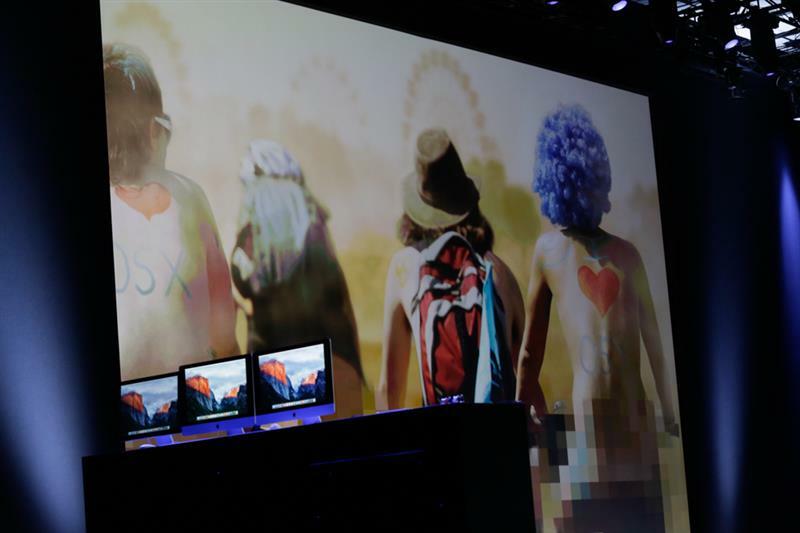 "Wanted to build on Yosemite. The only great question was what to call it." "In typical California fashion, they started with a project kickoff meeting (shows image of people in a hot tub). 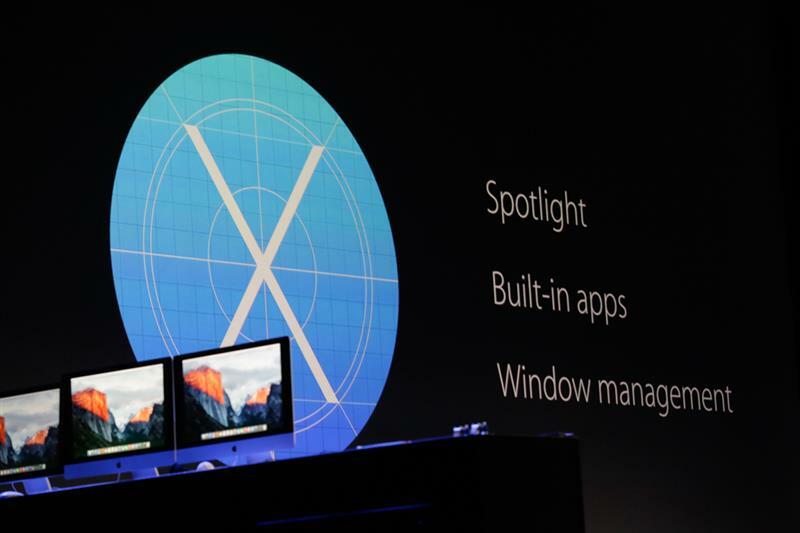 I know nothing about California geography, so the "OS X name" suspense is lost on me. El Capitan. You commenters noticed it correctly! 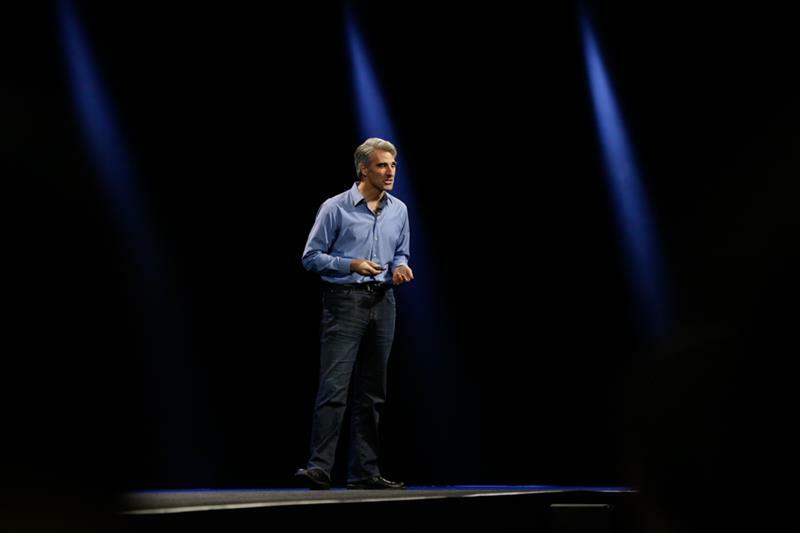 Made big enhancements to the apps you use most and we've made some real great advancements on how you manage windows on the system, Federighi says. "First task is finding the curser. Do that little shake wheel I do and there it is, comes out to greet you." "Brought other great features to the system."